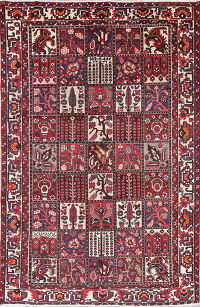 Nothing compares to the opulent designs of Bakhtiari rugs. These distinctive pieces are gorgeous, artistic, durable and in great demand. That’s why, whether you’re filling an estate or looking for a special rug to define your living space, you can’t go wrong by adding one to your home. What’s especially admirable about a Bakhtiari Persian rug is the character: these handiworks feature stunning, interesting, hand-woven designs that took years to complete. When you’re in the market to purchase one for your home, come to Rug Source. 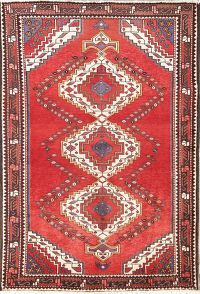 As the rug importer with an online store and a location in Charlotte, North Carolina, we have a large variety of Bakhtiari rugs for sale — from small designs to grand pieces. Browse our selection to find the kind of runners and rugs that you can love for a lifetime. At Rug Source, we want to help you purchase a Persian Bakhtiari that you and generations after you will be proud to display. For this reason, we’ve put together a quick guide below, to steer you through the buying process. 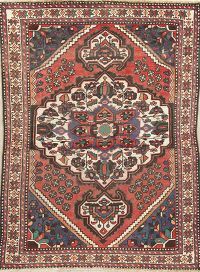 By understanding a little more about the background and style of a Persian Bakhtiari rug, you may find shopping through our selection a little simpler. If you have any other questions not answered below, please contact us. 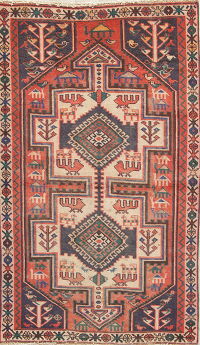 Bakhtiari rugs get their name from the Bakhtiari tribespeople of the Zagros Mountains. 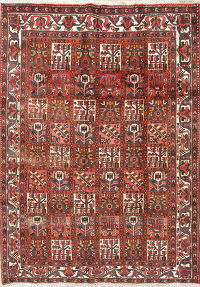 A strong, courageous group known for annually trekking over snow-capped mountains, the Bakhtiari traditionally produced geometric designs in their rugs but, over time, were influenced by floral carpets of Persia. This led to the innovative styles found today. 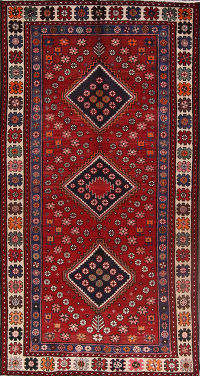 Bakhtiari rugs are made of durable wool and feature inspiring, complex designs. 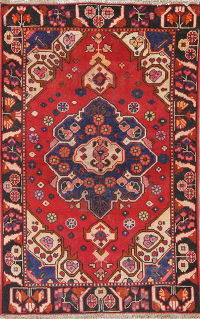 Many Bakhtiari rugs feature central medallions and bold colors. They are best known for their intricate imagery, which incorporates latticework, bell-shaped components, flowers and highly romantic themes. Each one typically takes up to six years to complete, representing a labor of time as well as artistry. Find them in various colors, from reds to blues to beiges. 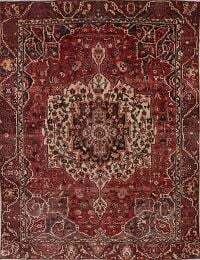 As the largest online resource for Oriental, Persian and other area rugs, Rug Source is the best place to find stunning, long-lasting Bakhtiari rugs for your home. For more than a decade, our business offers the best prices, complete with a 30-day money-back guarantee. Our prices tend to be 60 to 70 percent below retail, as well as 30 to 40 percent below competitors’ rates. When you buy a piece from us, if you’re not happy for any reason, you can return for a refund within 30 days. 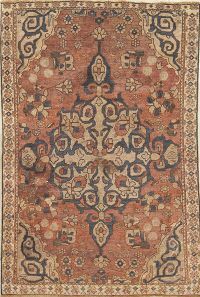 To learn more about the rugs we carry, visit our location in Charlotte or shop our selection online!